Fishing line and reel. 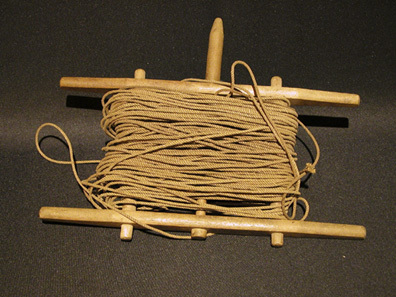 Wooden reel with cotton line. 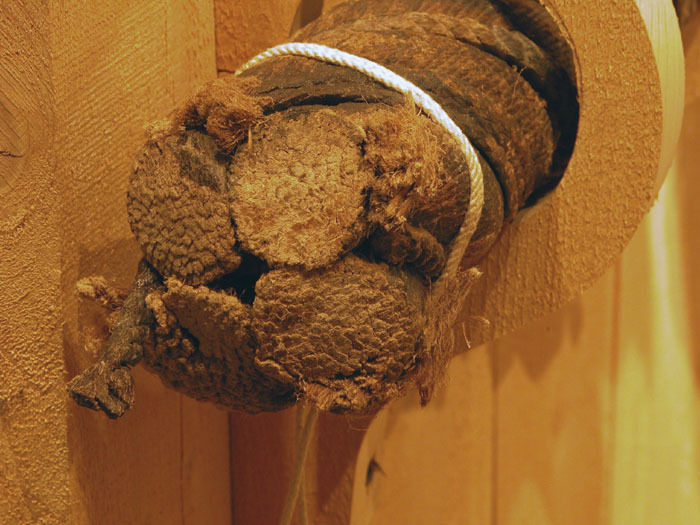 This fishing line and wooden reel were presumably used by Benjamin Franklin Pendleton Nichols for handline fishing in Penobscot Bay in the 1900s. "B.F.P. Nichols 1928" is written on the reel. B.F.P. Nichols, 1883-1941, was the son of Searsport's Capt. Wilfred Virum Nichols. This reel is designed so that it can be spun around the central pivot, letting line be wound in faster than a regular hand line. 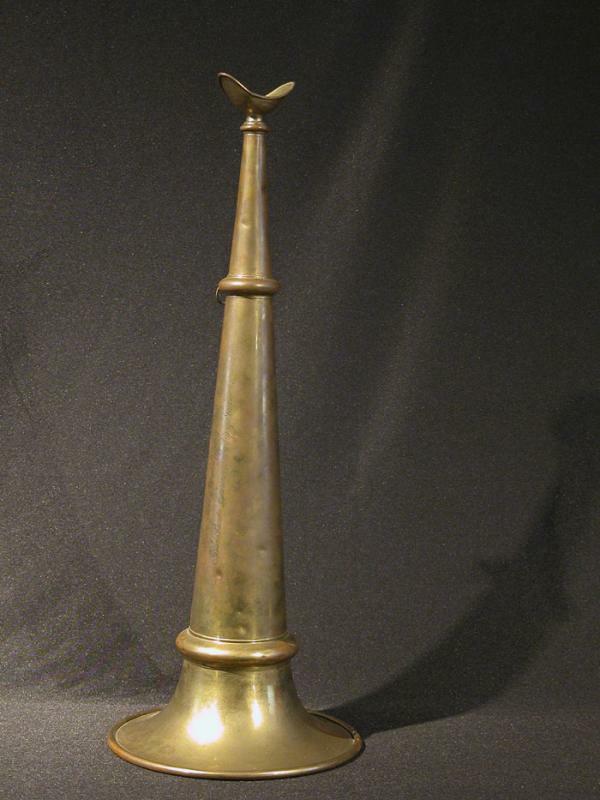 Speaking trumpet, 22 inches long, inscribed "From pilot boat Effort, New Bedford, Mass. to Pilot Boat Clarence Barclay of Salem." The 325 ton Clarence Barclay was built in Salem in 1856; this speaking trumpet was likely a gift in recognition for some help given to the New Bedford boat, but that story, along with how it got to the museum, is lost. 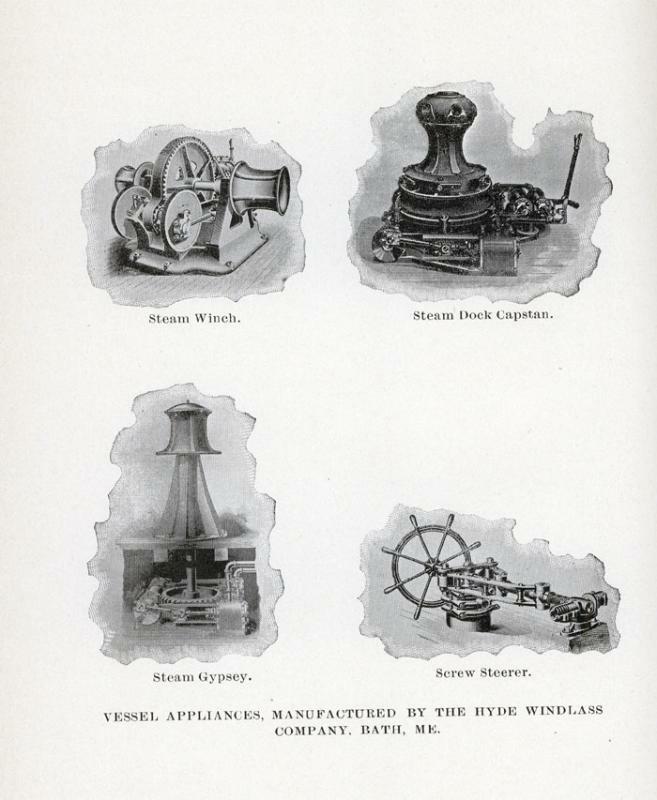 The Hyde Windlass Company built ship's machinery, including windlasses, capstans, and steering gear, some steam powered, and some human powered. 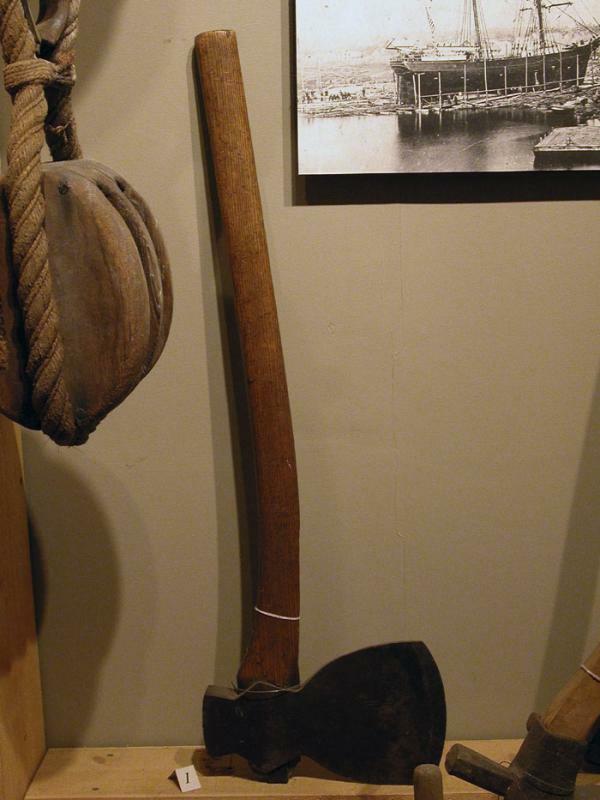 Hyde Windlass was the ancestral company of today's Bath Iron Works. 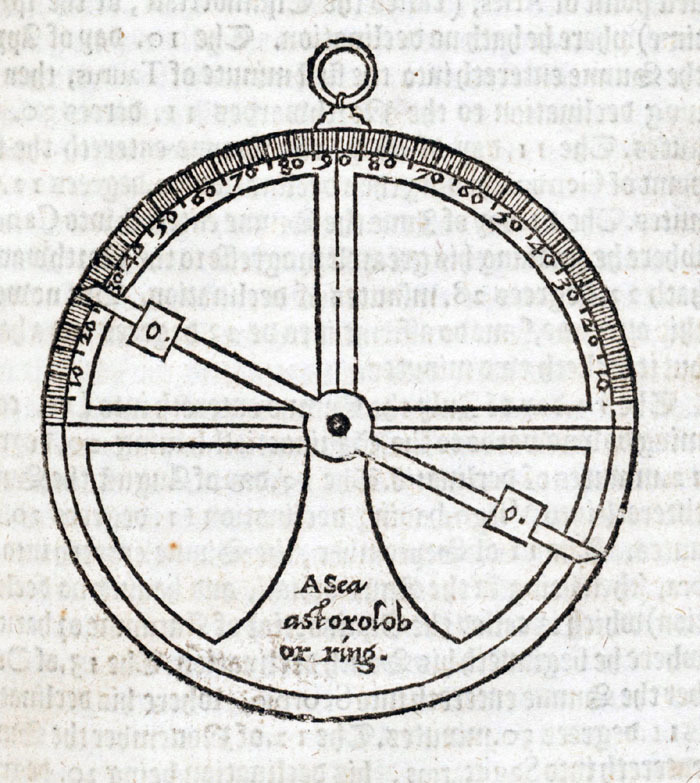 They sent their machinery all over the world. The images are from the Twelfth Annual Report of the Bureau of Industrial and Labor Statistics for the State of Maine, 1898, published in Augusta, Maine in 1899, facing p. 129. They would have been produced for a catalog. 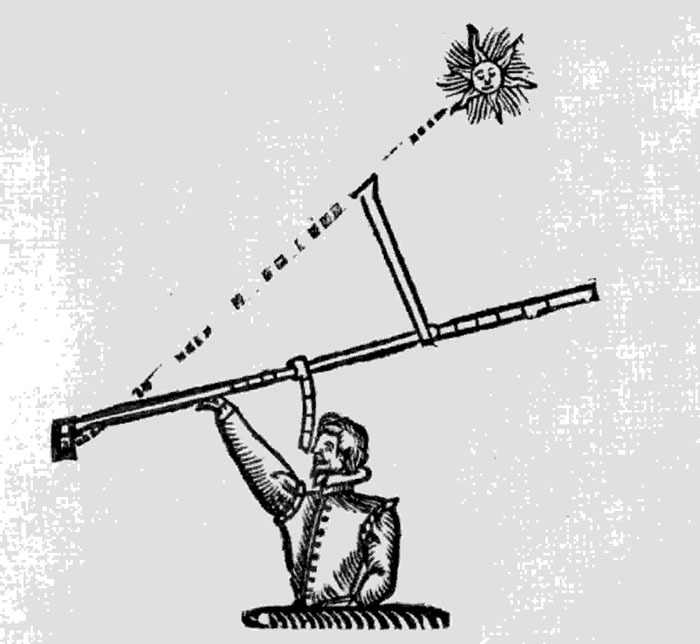 This diagram shows the arrangement of hull supports, called poppets, for the launch of the ship. The ship is built on building blocks and shores. Its weight is transferred to the launching cradle and poppets just before launch by wedging the ship up from the keel blocks. The poppets and launching cradle are fitted and then the wedges are knocked away. The cradle slides down greased ways, carrying the ship into the water. 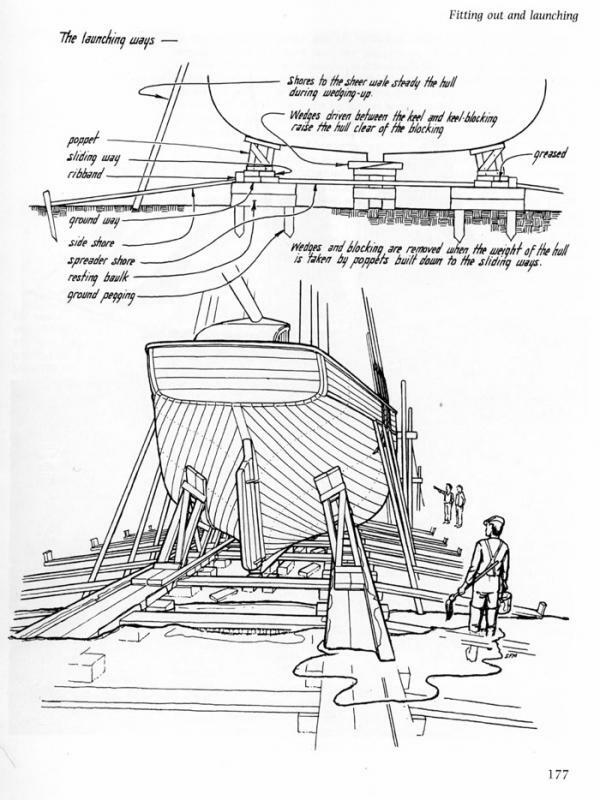 This image is from Basil Greenhill and Sam Manning, The Evolution of the Wooden Ship, 1988, p. 177. Used by permission of the artist, Sam Manning. 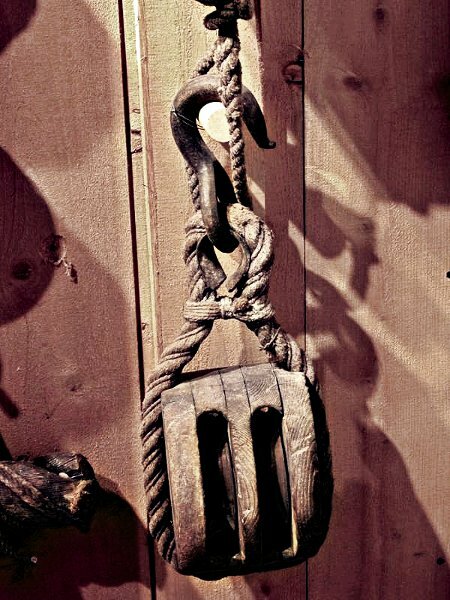 Sample of hemp rope rigging, used for standing rigging before wire rope came into use. 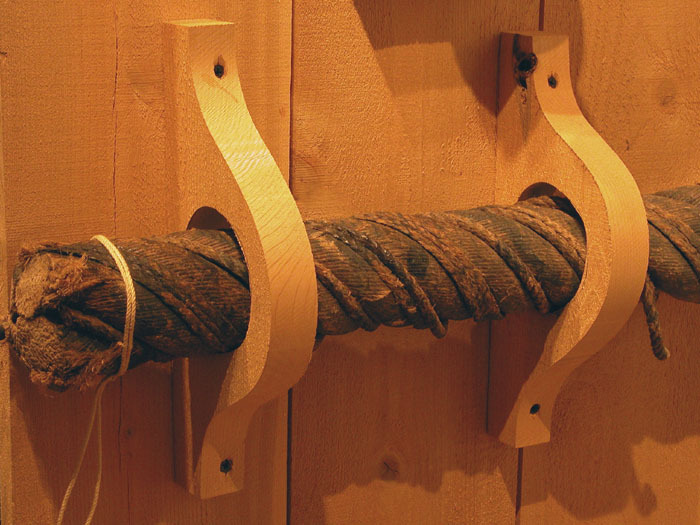 It is four strand rope, which stretches less than the more common three strand. This sample has been "wormed;" the depressions between lays of the line filled with smaller marline. This creates a smooth surface for wrapping the rope with canvas strips to make it watertight, a process called "parcelling." The last step is wrapping the parcelling with tightly wrapped marline or "serving" it.